When taking a winter ski trip to the Smoky Mountains, you will likely be packing heavy winter coats, ski equipment and other bulky items. 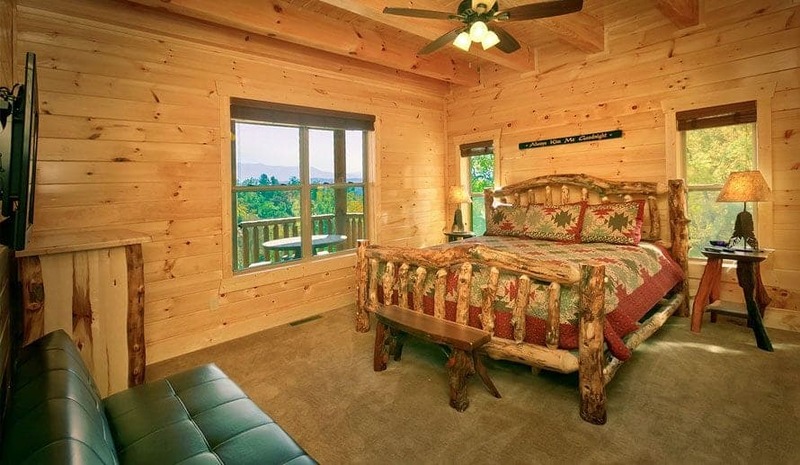 The great news is that our large cabins offer plenty of room to spread out among multiple bedrooms! 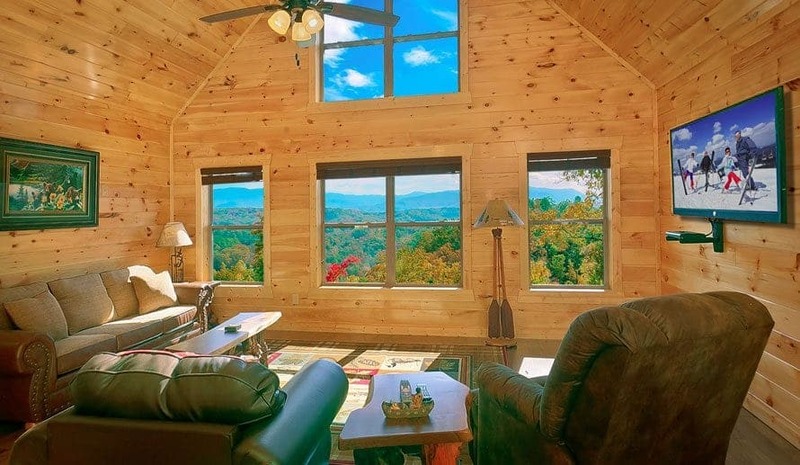 There is no need to be tripping over your travel partners and your luggage in a small hotel room when your entire group can stay comfortably in a beautiful cabin! Our Smoky Mountain cabins for large groups each offer a private hot tub that feels absolutely delightful after a day on the slopes! Let the soothing jets relax your muscles and put you into a state of complete relaxation. 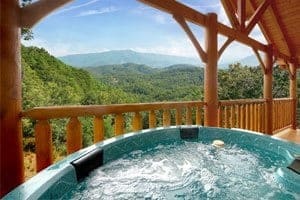 You can look forward to your hot tub session each day, which might very well be the highlight of your vacation to the Smokies! Don’t forget to take a dip into the hot tub during the evening hours when you can sit outside under the stars. 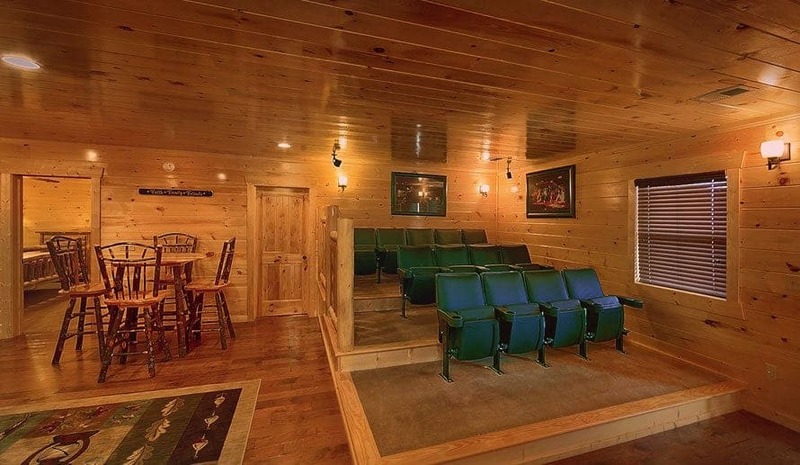 Our large cabins are jam packed with fun amenities for you to enjoy throughout your vacation, including home theater rooms where you can watch the latest blockbuster movies. 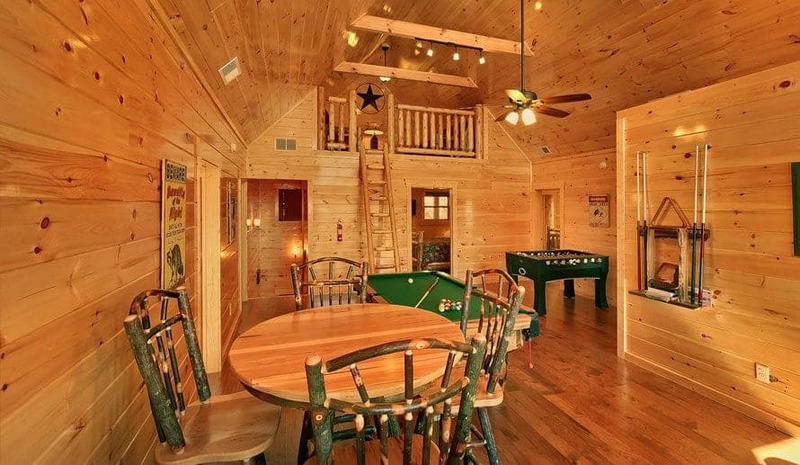 Our cabins also feature exciting game rooms with pool tables, arcade games, foosball and more. Some of the cabins from Large Cabin Rentals even offer a private indoor swimming pool! There are so many entertainment options in our cabins that you could spend an entire trip without leaving the cabin! When you want to spend one or two days on the ski slopes at Ober Gatlinburg, the last thing you want is a long drive back and forth. 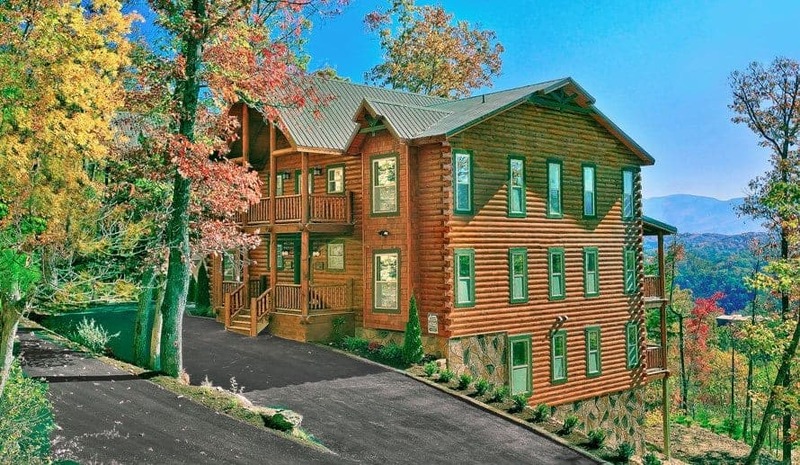 The great news is that our Smoky Mountain cabins for large groups are just minutes away from downtown Gatlinburg, where you can catch the aerial tramway to Ober Gatlinburg. 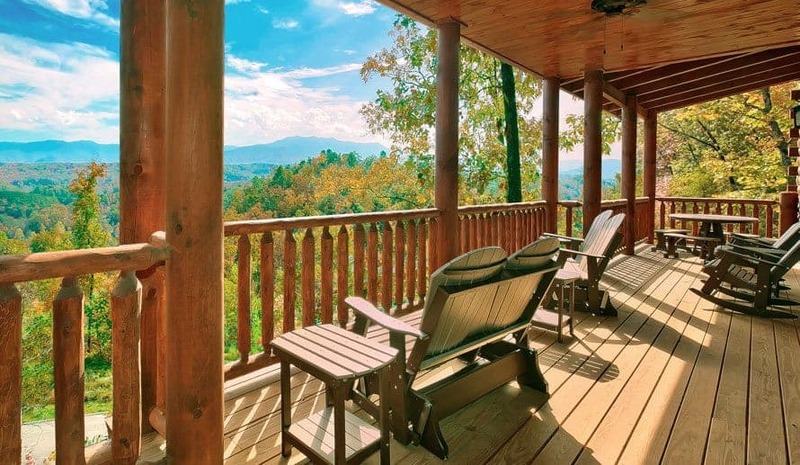 Our cabins are also close to many other popular attractions throughout the Smokies, including Ripley’s Aquarium of the Smokies and Great Smoky Mountains National Park. When you are taking a group vacation, the cost of lodging can add up quickly when booking multiple hotel rooms. When your entire party stays under one roof at Large Cabin Rentals, the cost quickly becomes more affordable for everyone! 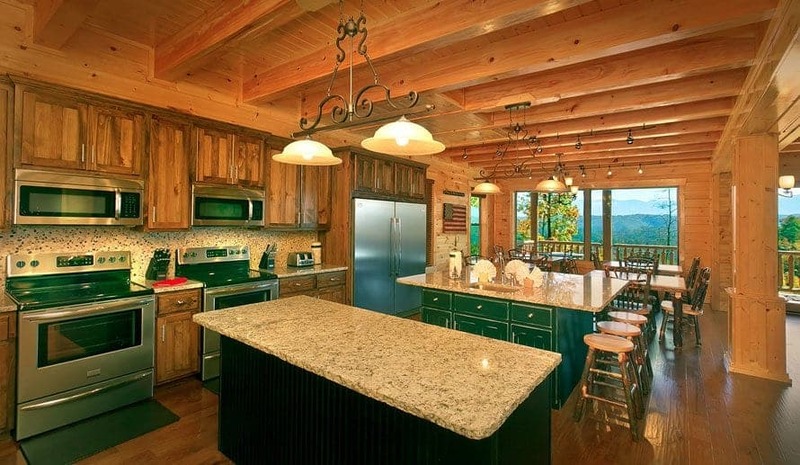 When you add in all of the comforts, amenities and benefits of staying at our large cabins, you can see why we offer the best deal in the Smokies for your group ski trip! 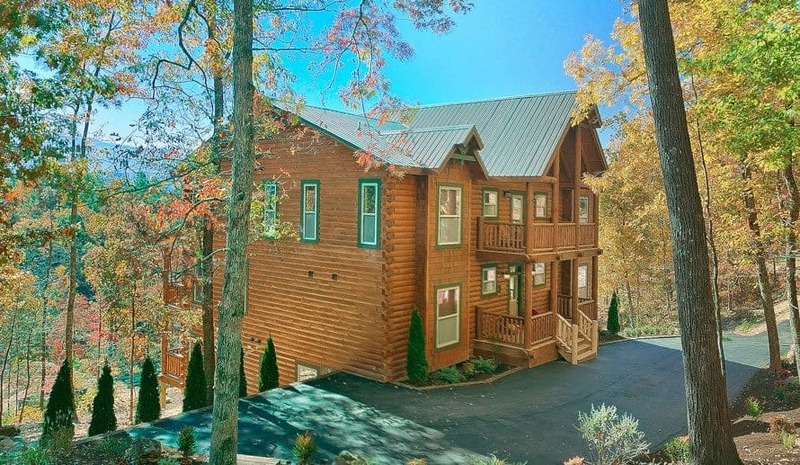 Check out all of Smoky Mountain cabins for large groups today to plan your ski trip to Gatlinburg! We look forward to seeing you this winter at Large Cabin Rentals!